This class is an entry point for anybody curious about the relationship between mind and movement. 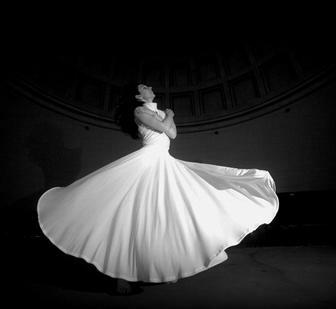 Inspired by Sufi Dervishes and other whirling dances of the world, Alchemy Spinning makes the physical, psychological, and spiritual benefits of whirling available to everybody. This accessible, pleasurable, and powerful super-mindfulness practice takes your body, mind, and spirit through a journey of self-discovery, expanded consciousness, and higher potential. Instructor Raquel Santiago will prepare and guide you in dance, movement, and contemplative whirling practices to induce a state of expanded consciousness.